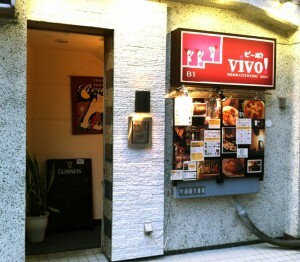 The entrance to Vivo, adjacent to a Starbucks. 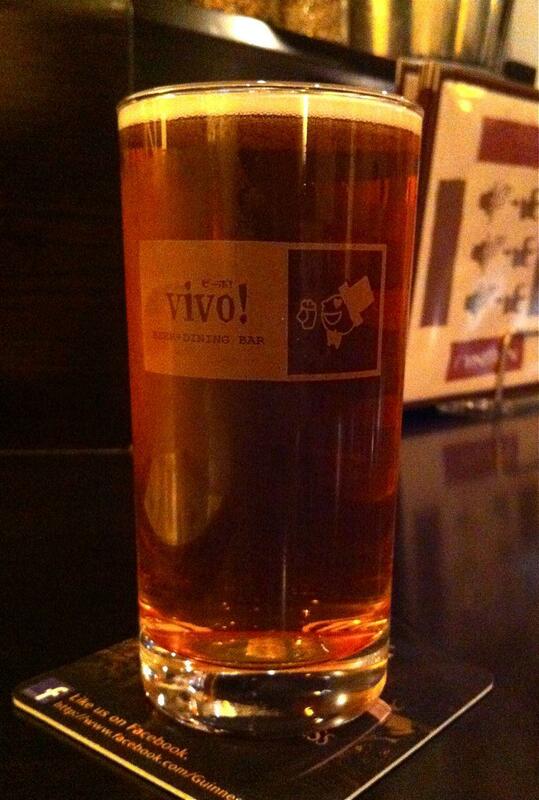 Vivo! is most definitely a beer bar, with 20 different beers on tap as well as bottles of import beer to choose from. I was there on a Sunday around 4pm, and there were about five or six other customers, with a few more trickling in as it got closer to evening. The place is non-smoking with a cubby hole looking booth for people to have a puff, and there’s free wifi (ask one of the staff for the password). One thing I was ambivalent about were the sizes on offer, “Regular” which equates to 360ml, and “Half” which is 285ml, which was ¥150 cheaper than the Regular. In other words, whether you’re talking American or British pints, what’s on offer is neither. On the other hand, the prices did seems to reflect that you were getting less than a pint (at least compared to other places I’ve been to in high-rent areas like this one), and the smaller sizes can help to make even a high ABV IPA a bit more sessionable. 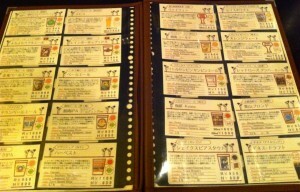 Of the 20 beers on tap, 14 of them were from Japanese, a great ratio if you ask me, especially when all with the exception of a Ebisu were from domestic craft breweries. Breweries like Sankt Gallen, Baird (which also makes a special IPA for Vivo), Coedo, Yoho, and Tamamura were represented, amongst others. (On the import side, you could get two kinds of Lagunitas, a Rogue, a Southern Tier, plus the ubiquitous Guinness.) 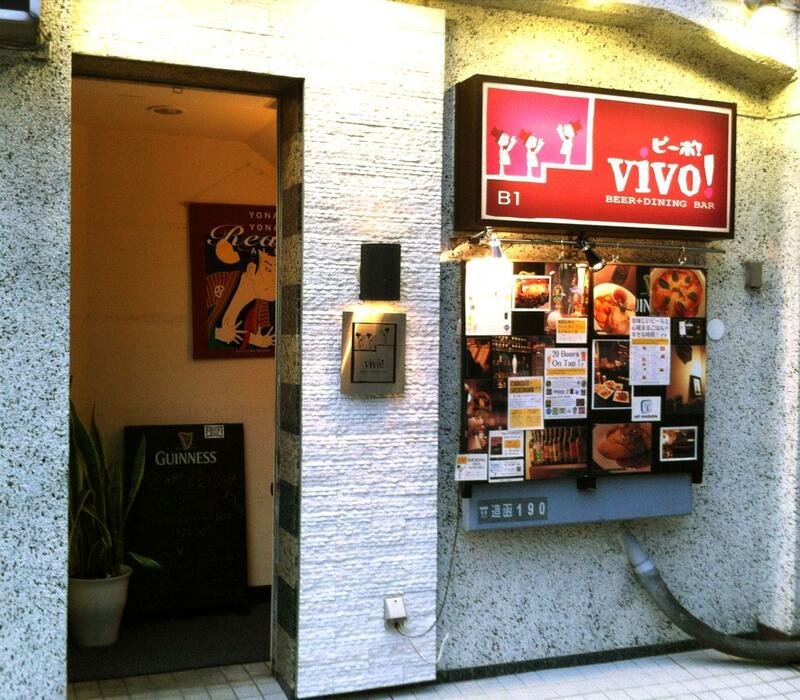 You can see the full list of 20 (in Japanese and English) at Vivo!’s blog. Based on past blog posts, it would seem they change the lineup (slightly) every two weeks or so. Bottles were listed in the back of the menu, but I didn’t pay too much attention as I figured why go bottle when there are so many choices on tap. For my first beer, I purposely chose something from a new-to-me brewery, in this case the Kin-Oni Pale Ale from Noboribetsu, a hot spring town about a hour from Sapporo in Hokkaido (and not a good enough web presence to link to, if I’m being honest). It was very good, well worth the ¥1000 yen I paid even though it wasn’t a full pint. I did use the small size to rationalize getting another beer, and this time I chose the Harvest Ale from Southern Tier, a brewery from New York I’ve often heard of and seen in the shops but had yet to try. It was also rather tasty, though it didn’t knock my socks off the way the Kin-Oni did. More beer than you shake a stick at! I did not order any food but judging from the menu it seemed reasonably priced, but can’t comment on anything like portions or taste. 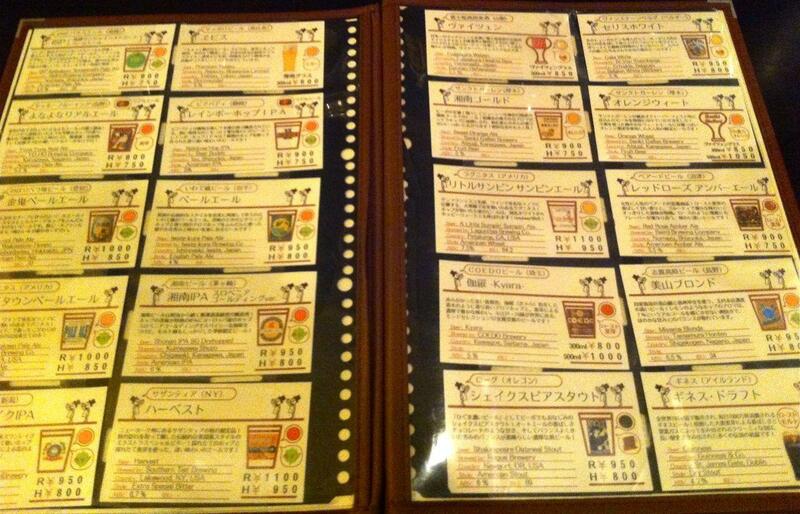 And speaking of the menu, I like how they have all 20 beers on tap spread over two pages, with a fair amount of information or commentary about each beer. While this is in Japanese, important things like the beer name, brewery, and beer style are printed in English, a nice plus. Here’s a link to the location in Google Maps. A quiet Sunday afternoon at Vivo!